ItÃ¢â‚¬â„¢s the two hundred million dollar question on everyoneÃ¢â‚¬â„¢s mind: Will Joey Votto ever be the same hitter? I played golf recently with two good friends, both are huge Reds fans, one is a medical doctor. 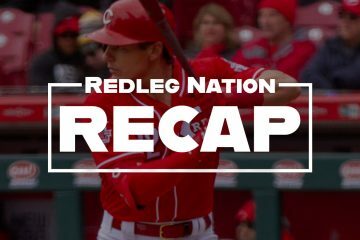 We naturally landed on the subject of VottoÃ¢â‚¬â„¢s health and whether the Reds’ first baseman is destined to be punchless at the plate for the rest of his career. 2014 has been a nightmare for Votto. The pride of Toronto has been dealing with a weakened distal quadriceps muscle for most of the season, allowing him to play in just 62 games thus farÃ¢â‚¬â€most of those on one leg. His .255/.390/.409 more closely resembles Eduardo Perez than what weÃ¢â‚¬â„¢re used to out of Votto. VottoÃ¢â‚¬â„¢s return to the lineup remains unknown. HeÃ¢â‚¬â„¢s had that Kobe Bryant platelet-replacement procedure twice since being shelved on July 8 for the second time this season. He tried to field ground balls this past Wednesday, but his body didnÃ¢â‚¬â„¢t respond well to the side-to-side movement. Votto did not make the trip to Pittsburgh. What path will the rest of Joey VottoÃ¢â‚¬â„¢s career take? Considering the size of and remaining years on his contract, letÃ¢â‚¬â„¢s hope itÃ¢â‚¬â„¢s nothing like former Yankee Don MattinglyÃ¢â‚¬â„¢s. If you were born before 1980, you likely have a vivid memory of just how sweet first baseman Don Mattingly was in pinstripes. Ã¢â‚¬Å“Donnie BaseballÃ¢â‚¬Â won the AL MVP in Ã¢â‚¬â„¢85 and finished second the following season. But in 1987, the smooth-swinging lefty tweaked his back while engaging in innocent clubhouse horseplay, and by 1990, the back had become a major issue. From then on, Mattingly was never the same, and he eventually retired in 1995 at age 34. LetÃ¢â‚¬â„¢s compare MattinglyÃ¢â‚¬â„¢s numbers with VottoÃ¢â‚¬â„¢s, pre- and post-injury trouble. Of course, 2014 isnÃ¢â‚¬â„¢t over for VottoÃ¢â‚¬â€he may still return and add to his season totalsÃ¢â‚¬â€but weÃ¢â‚¬â„¢ve seen his productivity sapped by the prolonged injury. If it continues to linger, might we see a similar decline to what Mattingly suffered through? Continue with the same batting stance/approach and try like Hell to keep that back knee, quad and entire leg as strong and healthy as possible, even if it means taking more days off. He may be relegated to a catcherÃ¢â‚¬â„¢s scenario: No day games after night games, a limit on consecutive games, etc. Let me explain what Ã¢â‚¬Å“back leg dominantÃ¢â‚¬Â means. Take a look at this slow-mo of a Votto home run. A. Votto uses a leg kick during the loading phase as he leans his weight on the back leg, coils his weight on that back leg, then pushes off from that position to generate his hip rotation. B. From hip rotation until follow through, his body is balanced from the back leg and his torso finishes even with the middle of his back leg. This has allowed him to Ã¢â‚¬Å“stay behind the baseball.Ã¢â‚¬Â ItÃ¢â‚¬â„¢s why he drove balls out of the yard the opposite way so often before the injury. The video clearly displays how much dependency Votto has on his back leg. And thereÃ¢â‚¬â„¢s nothing wrong with that. Plenty of great hitters have excelled with that styleÃ¢â‚¬â€a guy like Jeff Bagwell comes to mind. However, if that back leg isnÃ¢â‚¬â„¢t 100 percent, you simply cannot generate any power. As weÃ¢â‚¬â„¢ve seen since Votto returned from the initial injury in 2012, there is simply not the same amount of power being generated from the former MVPÃ¢â‚¬â„¢s swing. That begs the question: Does Votto need to completely scrap the batting stance heÃ¢â‚¬â„¢s used for years for an entirely new approach? And that question leads to another: Can a hitter re-invent himself at this point in his career? There have been some pretty decent front leg hitters over the years. You may have heard of guys like Babe Ruth, Lou Gehrig, Mickey Mantle, Willie Mays, Hank Aaron and George Brett. Roberto Clemente belongs on that list as well. ItÃ¢â‚¬â„¢s an approach former hitting coach Charlie Lau (Ã¢â‚¬Å“The Art of Hitting .300Ã¢â‚¬Â) preached when he turned the Kansas City Royals around in the 1970Ã¢â‚¬â„¢s. Hall-of-Famer George Brett attributes most of his success to LauÃ¢â‚¬â„¢s philosophies. To clarify, hitting through your front leg means to shift your weight forward and through the baseball at impact, to the point that your back foot nearly comes off (or does come off) the ground when you meet the baseball. Check out this Hank Aaron slow-mo. Note the difference between his body at impact and VottoÃ¢â‚¬â„¢s in the above example. And then of course, Babe Ruth. See how his torso finishes above his front leg? Now, nobodyÃ¢â‚¬â„¢s expecting Votto to transform into Babe Ruth, Hank Aaron or Willie Mays. The point IÃ¢â‚¬â„¢m trying to make is that you can generate power from either approach. And with VottoÃ¢â‚¬â„¢s health situation, it may not be feasible to generate power from the back leg approach anymore. This approach allows for maximum balance, and while it still puts some pressure on that back knee to generate the hip rotation, itÃ¢â‚¬â„¢s nowhere near the amount of stress that VottoÃ¢â‚¬â„¢s leg-kick approach creates. Votto could go real extreme like Ruth, Aaron or Mays and in essence Ã¢â‚¬Å“run throughÃ¢â‚¬Â the baseball at impact. Out of the three, IÃ¢â‚¬â„¢d say this would be the least likely. If I were working with Votto, IÃ¢â‚¬â„¢d recommend the Ã¢â‚¬Å“no strideÃ¢â‚¬Â approach. It worked well for Jim Edmonds and weÃ¢â‚¬â„¢ve seen guys like Albert Pujols, Moises Alou and Joe DiMaggio stay incredibly balanced and hit with power. We saw Votto briefly utilize this approach in Ã¢â‚¬â„¢12 when he was in a slump. If anything, eliminating the big leg kick can only help with a hitterÃ¢â‚¬â„¢s timing. A complete overhaul at this point in a major league hitterÃ¢â‚¬â„¢s career is certainly not unprecedentedÃ¢â‚¬â€just ask TorontoÃ¢â‚¬â„¢s Jose Bautista. Ã¢â‚¬Å“Joey BatsÃ¢â‚¬Â made huge alterations to his approach and stance after his Age 28 season when he hit just thirteen home runsÃ¢â‚¬Â¦and then promptly pumped 54 over the fence the following season. The bottom line: The choice is ultimately VottoÃ¢â‚¬â„¢s to make. But if he and his doctors feel that his back leg issues will be chronic, he must accept that providence and begin figuring out a new approach and stance at the plate. The good news is that Joey is blessed with incredible hand-eye coordination and a genius ability to quickly compute a number of thoughts in the batterÃ¢â‚¬â„¢s box before he takes a cut at a pitch. WhatÃ¢â‚¬â„¢s more, his hands are quick and his swing path is top notch, so there will be no adjustments needed in that area. At the end of the day, the Reds need Votto to produce. If his left leg will never be the same, then he must adjust accordingly. Scary. 12 year commitments (10 year extention on an existing 2 year deal) to any player are never a good idea. I’m sure the BoSox wish they had one with Ruth before the Yankees snatched him up. Or the Marlins with Cabrerra could they have afforded it. It’s worth a shot. Votto without power, while still a useful piece, is certainly not as valuable as Votto with power. If the back leg really isn’t going to let him hhit for power any longer, then he certainly owes it to the team and to himself to try to work around it somehow. Nothing ventured, nothing gained. And if it doesn’t work out, well, he’ll just have to become a slap hitting OBP machine with no speed. Still a useful piece. But certainly not something to build your offense around. All the more reason the Reds need to come up with a consistently good hitting left fielder in the off season. It’s funny, because just last season the Reds were said to be too lefty-heavy (Choo, Votto, Bruce), and now with Choo gone, Votto in limbo and Bruce suddenly forgetting how to be Bruce, the Reds might do well to pick up another threat from the left hand side. Nicely written. If it were anyone but Votto, I don’t think they would change. Most players in the org. seem to do the same bad habits over and over. I have at least a little hope that Votto will adjust. Thanks for reading, VAREDSFAN. I agree that Votto has been the most willing to make adjustments (see: his 2-strike approach). Let’s hope he figures out the best way to attack the baseball based on his health and strength. 33 one-run losses in a season when Votto basically didn’t play…gotta think with his runs created in the lineup that Cincinnati could have turned 7-10 of those into W’s, and it’d be a different story right now in the standings. If Votto’s knee/leg/muscle/etc. is going to continually bothering him, he’s going to have to change his swing. But, then, that’s the adjustments professionals make. Even if his knee wasn’t going to bother him anymore, Votto would still have to make adjustments as he goes through his career; all professionals do. The knee/leg/muscle/etc. is the key. The more it bothers him, the more of an adjustment he will need to make. I will say it did seem like he wasn’t let as many strikes coming down the middle, with what little time I saw of him this season. But, if he doesn’t have the knee/leg/muscle/etc. to stand on, balance on, and push off of, that really isn’t going to make much of a difference. With how this knee/leg/muscle/etc. is rehabbing over the years, I wouldn’t be surprised if the Reds trade Votto off for a couple of prospects or something to whatever team will take on the contract. Of course, I prefer to have a healthy Votto on our team. But, I also prefer to see us not pay a player for not playing. Nobody is taking Votto at this point. I’d be interested to hear more thoughts on the front foot back foot transition that occurred in baseball. The bottom line: To generate power, it starts with rapid hip rotation, usually triggered by leading with the back knee. A hitter can generate that rotation from a number of different load/stride positions. Regardless, your hands should not come forward until the hips “pull” them forward – that’s what creates swift bat speed. You watch certain guys, and it looks like they are really shooting their body weight forward and through the baseball to generate torque – those are front leg hitters. Todd Frazier comes to mind. Then, you have the spinners who end up almost leaning backwards, like Votto, and like a Mo Vaughn used to. We’ve seen guys with leg kicks modify that in order to stay solid and they still keep their power– a guy like Giancarlo Stanton did that a couple of seasons ago and this year Troy Tulowitzki did it. I think that’s what Votto will have to do; it will alleviate some of the pressure he places on his back knee and still allow him to stay strong through the baseball. Thanks. It was great to see all the clips finally, as my phone just isn’t that cool. What books on hitting do you think do a great job regarding hitting approach/mechanics? I have two young boys and one is really starting to love baseball and I would like to start to have a little better understanding outside of “see the ball hit the ball”. Anything by Charlie Lau. He was instrumental in George Brett’s career. His books are “Lau’s Laws” and “How to Hit .300.” Ted Williams’ book is always a good resource. 1) Throw the knob: The swing should start by throwing the knob, led by the bottom hand, at the inner half of the baseball. It’s how you can “stay inside the baseball” (and avoid rolling over grounders to your pull side) and it makes your hands so much quicker to the ball. 2) Hips, then hands. Led by a back knee drive forward, the hips should rotate through to where the belly button faces the pitcher, and that action then rubberband-whips the hands through the zone. Keeping the hands back as long as possible is huge. What BIGJUXBERG says plus practice, practice, practice. Not all off a pitching machine or pitcher either. There are some great hitting drills out there. Nice to see some acknowledgment that Votto has not been the same since the original knee injury. Agreed and along with an explanation of why and possible way forward that is concrete and not reliant upon a treatment regimen that is essentially clinically unproven if one take the time to read the spectrum of the literature. 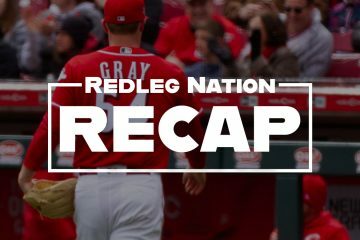 Who would ever dispute that Votto has not been the same since the injury? Actually there were many on this site who said he had a season in 2013 that was as good if not better than his 2010 season. Many also said he was as valuable in 2013 as he was in 2010. Great article, Berg. Very interesting read. Looking at the National League batting leaders, donÃ¢â‚¬â„¢t you get the impression that if Votto had been healthy all year, this year would have been the year he would have won a batting title. Next year a healthy Votto with a little chip on his shoulder and he may chase that batting title next season, or two. This is a really interesting article, but it’s premise is extremely tenuous. Way too many “ifs” for my analytical mind. I don’t really understand why Votto would change his swing, unless the swing is aggravating his injury . It’s not clear to me that is the case. Last year, Votto hit 24 HRs. If he had repeated that this year, that would very likely put him in the top 10 in the NL again. But we don’t know when or where Votto’s leg started bothering him, so we’re just guessing what the cause is. I think a lot of Votto critics are the ones posting in this thread and are grasping at straws. Votto may tinker with his batting stance, but he won’t change his hitting approach, nor should he. Votto will never get the RBIs you guys crave or need, particularly when he has on base machines like B-Ham batting in front of him. It’s September 2nd, and not a single player in MLB has more than 100 RBIs.. Baseball has changed, and so must fan expectations. I haven’t seen anyone mention RBI’s in the comments besides you… So not sure who or what you’re referring to…. CP, thanks for reading and commenting. While I don’t have any inside information detailing why exactly Votto has been injured for most of 2014, I do believe that his knee injury and the distal quadricep injury are related. Now, whether the combination of these injuries results in a chronic ailment, nobody can be sure. Look at MLB hitters around baseball, and you’ll find plenty of successful players that use the front leg approach. I don’t know if Joey can be the same hitter if he switches completely to that, but I do think he can tweak a few things to take some pressure off his oft-injured leg. Votto already changed his approach in the sense that he became even more more selective at the plate as his ability to drive the ball diminished. And it seems to me that he goes to left even more since his initial injury. I have to say, I just discovered some unintentional humor to this post. It is tagged under “Joey Votto Is Perfect”, then the post title is “Joey Votto Should Change His Swing”. With the horrendous knees that Mantle had, and yet he was still able to hit the ball with tons of power from both sides of the plate? I’ve had both ACL reconstruction with a partial meniscectomy. And meniscus surgery only on the other knee. I will take meniscus surgery ANYDAY over ACL reconstruction! It’s a BS excuse that his leg is still weak from the knee surgery in 2012! It’s between his ears. Sure, I understand that he pulled/tore/strained a muscle in the same leg, and yes it takes some time to heal, but it seems like it takes him longer to heal than a 90 year old woman with a broken hip. I’m sure a lot of players from the 20’s through the 60’s had plenty of similar knee injuries that were never ever fixed. And just think about all the NFL players who have had similar or worse surgeries/injuries, and yet are able to come back (and they need powerful legs much more than a baseball player). Curious to see what you think having seen Votto playing this season. I worry about his health as much as the next guy but I gotta say he looks really, really good and healthy. Do you still think he should have changed his swing or have you maybe had some second thoughts? I realize it’s really early but man he looks like the old Joey. As a second thought to all the naysayers who claimed it was all in his head I think it’s clear now he was indeed struggling with that leg, his head is right where it should be.